Can it save the Xbox One? 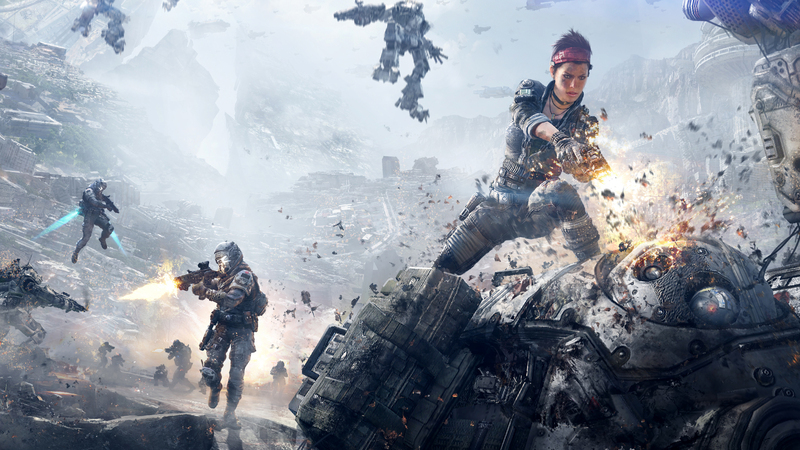 Microsoft is banking on Titanfall, big time. This is the first truly fresh release on their new flagship console with expectations that couldn't be higher. Forza 5, Call of Duty, and Assassin's Creed are all either ports from the 360 versions and/or extensions of existing series. The next Halo won't be out until Christmas and Gears of War is at least two years out. The Xbox One has been lagging in sales compared to the PS4 of late and the kids at Bill Gates' house are REALLY hoping this game turns things around. It may not be the complete game-changer that Microsoft is looking for, but it's definitely a step in the right direction. What it gets right, it gets very right! This game is REALLY fun. Don't get me wrong. I've been completely addicted to it despite some drawbacks. The gameplay is totally new, and that's tough to do in today's world of a plethora of developers and distribution companies. Everybody is looking for the next big thing...and Microsoft found it. The standard FPS portion is a bit like Call of Duty mixed with Halo and given a healthy dose of steroids. Your character's ability to wall-walk combined with his or her mini-jetpack help create entirely ways to move around the map. Add to that the Titans and this is clearly different from anything that has come before it. 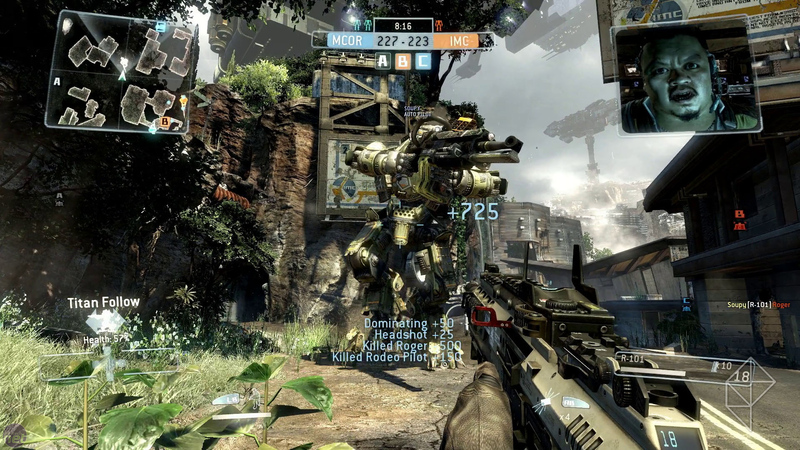 For the uninitiated, Titanfall is a first-person shooter that takes place in the future. The IMC is the government entity being challenged by rebels called the Militia. First, you play through the campaign from the side of the IMC. There are nine maps. Once you've finished those, you switch and play the same nine maps from the Militia side. The only real difference between the "campaign" and "classic" multiplayer game types are voiceovers that precede each mission and some short cutscenes. As an IMC pilot, you are fighting for Vice Admiral Graves. He's your standard military man looking to put down the rebellion whose control is taken over early on in the game by former IMC mutineer James MacAllen. He and Graves used to fight side-by-side before he went rogue. There really wasn't much to the story, to be honest. That's pretty much it. They had little bylines for each map, like taking down a fuel depot or destroying a spaceship while it was in dock, but the gist of the plot line can be summed up in a few sentences. There are three types: the Atlas being a middle-of-the-road mech, the Stryder that is more nimble but can take less damage, and the Ogre that serves as a tank with massive protection. Every three minutes you are blessed from above with one of these giant killing machines, literally. The are deployed from space and come falling down from the sky, thus the game's name. You can climb into the huge robot and take personal control or choose "follow" or "guard" mode where AI takes over for the Titan and it will either follow and protect you or engage the enemy on its own, garnering you substantial XP as long as it survives. Personally, I've played about half the game each way. Sometimes I'm on a hot streak with my pilot and I just let my Titan wander off on its own to kill at will. Other times I prefer to climb in and put my personal touch on the giant's attacks. 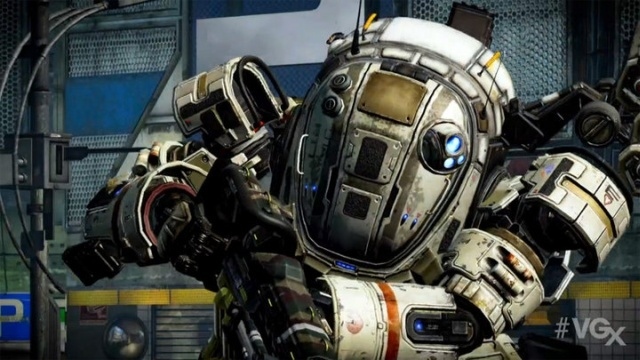 My main complaint with Titanfall is the lack of a single player campaign. I guess I'm stuck expecting the standard format like Call of Duty and Mass Effect 3 where there are both single player campaign and multiplayer choices for the gamer. Here, there's not much difference between the two except for the voiceovers before you start a mission. The voiceovers could have used a little help from Bioware because they leave a lot to be desired. They aren't terrible, but they aren't as good as they should be, especially considering the relatively small number required for the so-called "campaign" mode. Not only that, but your success or failure in a mission has no bearing on the outcome of the game. Win or lose the match, the game continues on with the missions as if you were successful. I guess that taking into account the fact that the whole campaign is just a modified multiplayer game this makes sense because it could take a while to finish the campaign if you were dependent upon your teammates' abilities to clear a level, but it draws away from the sense of accomplishment you get when normally finishing a level. Despite my complaints, this really is a treat to play. I tend to lean toward story-driven games so the bare bones campaign left me feeling somewhat empty, but the fantastic mechanics and graphics more than make up for it. I hope that this, like many series before it, grow into a full-fledged, multiple-game epic in the same vein as Halo or Metal Gear. I absolutely love playing it. I was just looking for a bit more, to be honest. Maybe all of the hype and buildup led me to believe this would be the next Gears (or God) of War. It certainly has the potential to become everything those games are and more, but it needs a bigger, better backstory. One of the reasons Halo has been so successful is the completeness of the universe. 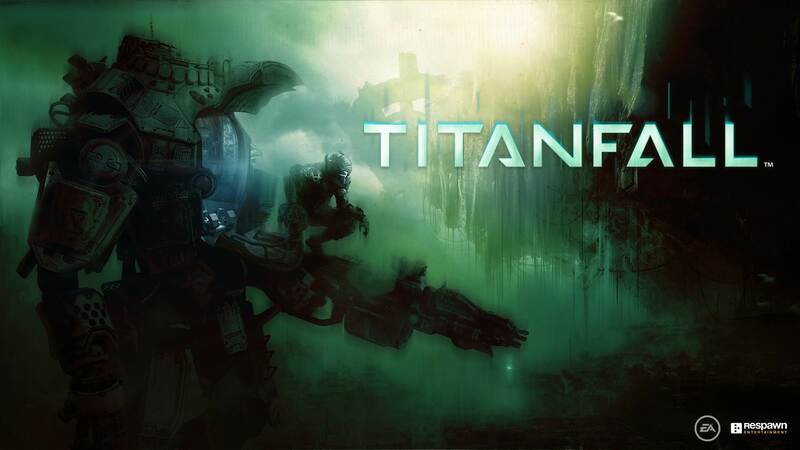 I hope that Titanfall 2 builds on the skeleton of a plot that this game provides. It already has the gameplay down perfectly. Now it just needs a universe to inhabit. Objective Score: 8/10. It would've been a 9 if it just had even the most slightly serviceable story. Bonuses: +1 for the biggest improvement in unique and fluid gameplay mechanics I've seen since Nintendo went from a two-button layout to the six-button SNES controller. Penalties: -1 for a nearly complete lack of plot. I almost would have preferred they simply leave out the Graves/MacAllen story and just include a few more multiplayer modes.